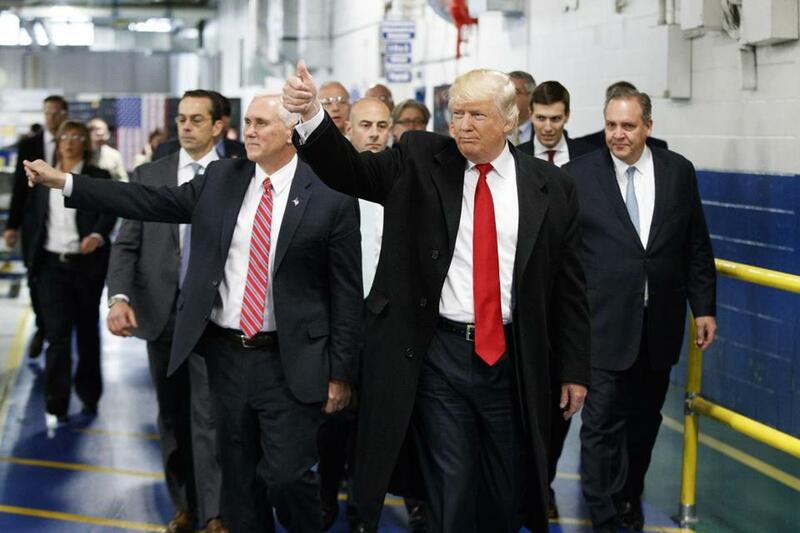 President-elect Donald Trump and Vice President-elect Mike Pence waved as they visited to Carrier factory in Indianapolis last week. WASHINGTON — President-elect Donald Trump took to Twitter to slam a union leader who criticized his deal to discourage air conditioner manufacturer Carrier Corp. from closing an Indiana factory and moving its jobs to Mexico. That local union branch represents workers at Carrier’s Indianapolis plant. About 30 minutes after Trump tweeted about Jones the union leader started getting harassing phone calls, he told MSNBC Wednesday. One caller asked: What kind of car do you drive? Another said: We’re coming for you. He told the cable news outlet he wasn’t sure how the callers found his number. Jones told The Washington Post in a story published Tuesday that Trump lied about how many jobs were saved by the deal, which included $7 million in state tax incentives. He accused Trump and Vice President-elect Mike Pence of staging ‘‘a dog and pony show’’ around the deal.